There are lots of advantages to the franchise model for remodelers. DreamMaker® Bath and Kitchen’s systems and processes streamline operations so that our talented franchise owners can put their energy toward managing their teams and making clients as happy as can be. Read on to find out how our home improvement franchise opportunities can help you build your business. Our systems and support help you streamline your business, so you can focus on making clients happy with great-looking, well-constructed bath and kitchen remodels. Running a remodeling business involves much more than just designing and installing the remodels for your clients. There’s accounting, client acquisition, marketing and countless other things that you have to take care of as a business owner. DreamMaker® Bath and Kitchen home improvement franchise helps you take care of all of that, so you can focus on the reasons you got into the remodeling business. We have systems in place for sales, supply ordering and communications to help you manage the back-end aspects of the business without having to create all the systems yourself. Our systems also make it easier to empower your employees and delegate tasks to them, so you can be more directly involved in the parts of the business you enjoy most. We’re here to support you with whatever you might need to help your franchise become more successful. Each franchisee has an individual franchise coach who works directly with you to improve your operations, helping you with marketing materials, business plans and more. We also have our entire corporate team working to support you and make our systems even better. Marketing support from DreamMaker® and word-of-mouth from clients help you find more business more easily. There’s more to the DreamMaker® Bath and Kitchen community than the corporate team; franchisees also network and work together to learn from their shared experiences. Through initiatives like our Next Level Groups, franchisees have support from peers with similar experiences, challenges and opportunities. Our franchise owners don’t compete with each other; they help each other, and become stronger individually and collectively. One of the hardest parts of the business is generating new leads. 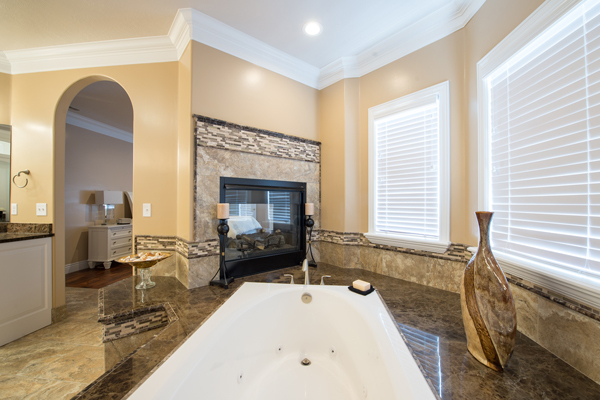 DreamMaker® Bath and Kitchen has a number of ways to help with that. We have brand recognition, detailed marketing plans and ad templates, all of which help you attract more prospective clients. It’s not just marketing that helps bring in new clients. Our systems and procedures for design and installation help make each job more efficient for both you and your clients, leading to increased customer satisfaction. That can help you build your franchise through repeat business as clients come back to you for their next project, and it also brings in new clients from positive word-of-mouth and online or social media reviews. To find out more about DreamMaker® Bath and Kitchen’s home improvement franchise opportunities, download our free franchise report and start a conversation with us. You can also learn more by visiting our research pages.